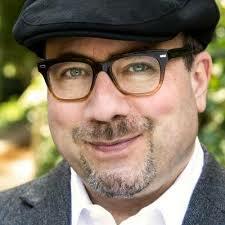 Craig Newmark is a Web pioneer, speaker, philanthropist, and one of America’s most recognized nerds. In 2012 he was inducted into the Internet Hall of Fame. In 2013 he was named “Nerd-in-Residence” by the Department of Veterans Affairs’ Center for Innovation in recognition of his volunteer work with the department to enhance services to veterans and military families. In 1995 Craig founded craigslist, the online classified advertising site that has seen more than 5 billion ads posted. While Craig has not been part of craigslist management since 2000, he stays connected to the site’s users through his involvement with Customer Service. In 2016 he created the Craig Newmark Foundation, a private foundation to promote philanthropy and civic engagement through a number of initiatives. The foundation supports charitable and education causes with a focus on consumer protection and education, veterans and military families, government transparency, public diplomacy, voter protection and education, micro-lending to alleviate poverty, and women in technology.